Need a multilingual website? Thinking of going global with your existing website and have it translated into other languages? We cater for all languages, european or asian, left-to-right (LTR) or right-to-left (RTL). Do not rely on automatic/machine translation (like Google translate or others). They produce texts which are incorrect and they will communicate a poor image of your professionalism. 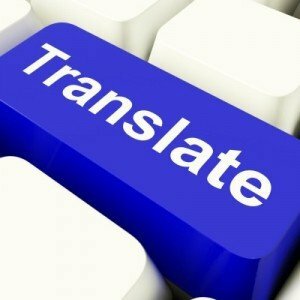 A good translation need to be done by a professional translator who will convey the information in a culturally sensible way. Ann is a native French speaker and has designed several multilingual websites. She can translate your website and French and she is also connected to a global network of translators through her interpreter husband. Your best tool to keep your clients informed with up to date information about your products and services. The internet is the place your customers will be turning to when they look for your products. Your website must be there and be visible. The end-user experience must be at the core of wireframing and interface design: a visitor with a positive user experience will be a returning visitor.